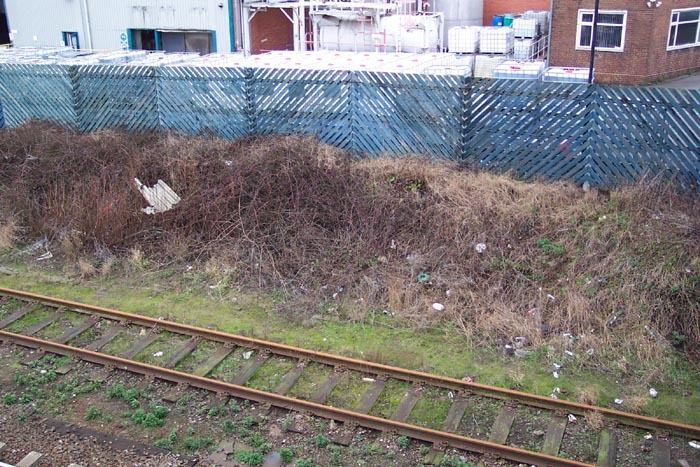 One of the shortest-lived railway stations in the area, Rood End opened on the GWR's line from Stourbridge to the Snow Hill - Wolverhampton main line in 1867 only to close 18 years later in 1885. As you would expect, there is nothing to signify that a station ever stood at this spot and nor is there, to my knowledge, a photograph of the station from which we can discern its features (the box camera was not introduced until 1888 so I doubt there are any photos out there). However, an 1890 OS map pinpoints the station (presumably, the cartography process was so slow that the station was operational when surveyed for the map) and it is from this that the bearings for my visit were taken. Above we are on Rood End Road looking at what would have been the entrance to the station: the direction we are facing is towards Langley Green station. Above-left we are still on Rood End Road bridge and looking down at the trackbed in the direction of Langley Green station which is just around the bend ahead. 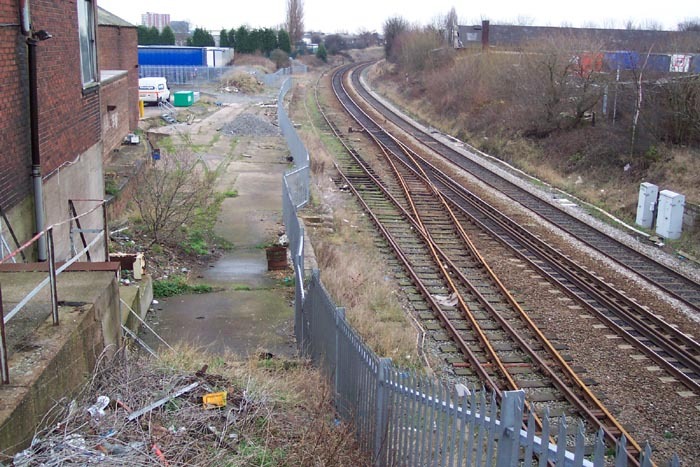 The station platforms would have been in the foreground and the photograph above-right takes a closer look at the site of the Birmingham platform. Unfortunately, there is now no evidence to suggest such a structure once existed. Above-left we are in the same position as before but are taking a closer look at the sidings between Rood End and Langley Green stations. These were used as marshalling sidings for goods trains and referred to as 'Rood End sidings' or 'Rood End yard'. 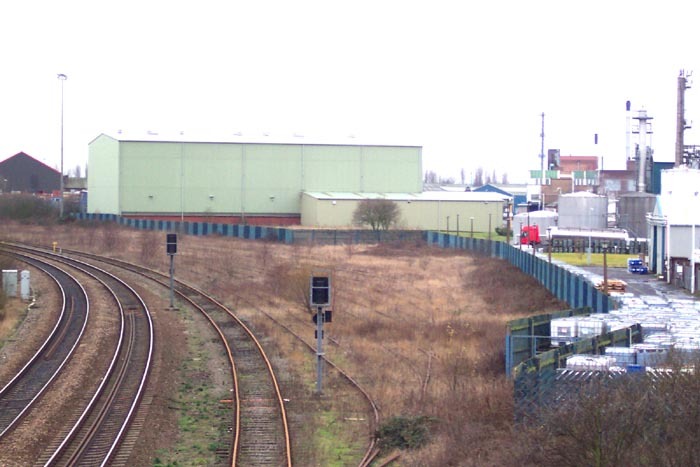 The area was replete with rail-connected industrial premises so this area served as a useful point for the organisation of their goods wagons. 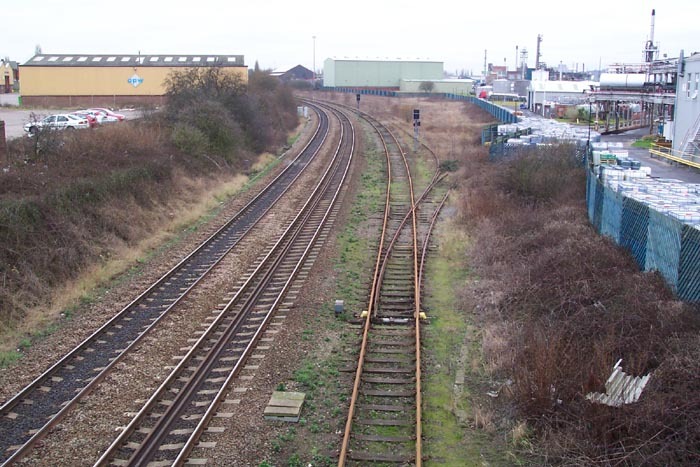 In latter years the sidings were used to hold tanker trains awaiting the journey along the old Oldbury route to Albright and Wilson's chemical factory. 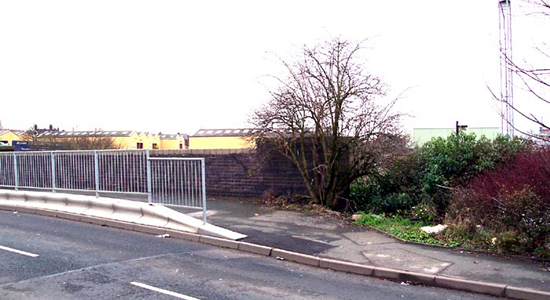 Above-right we are on the other side of Rood End Road bridge looking towards Smethwick West. It is unfortunate that there are no remains or photographs of this station in existence as we now have only map references to remind us that a station ever existed at this site.